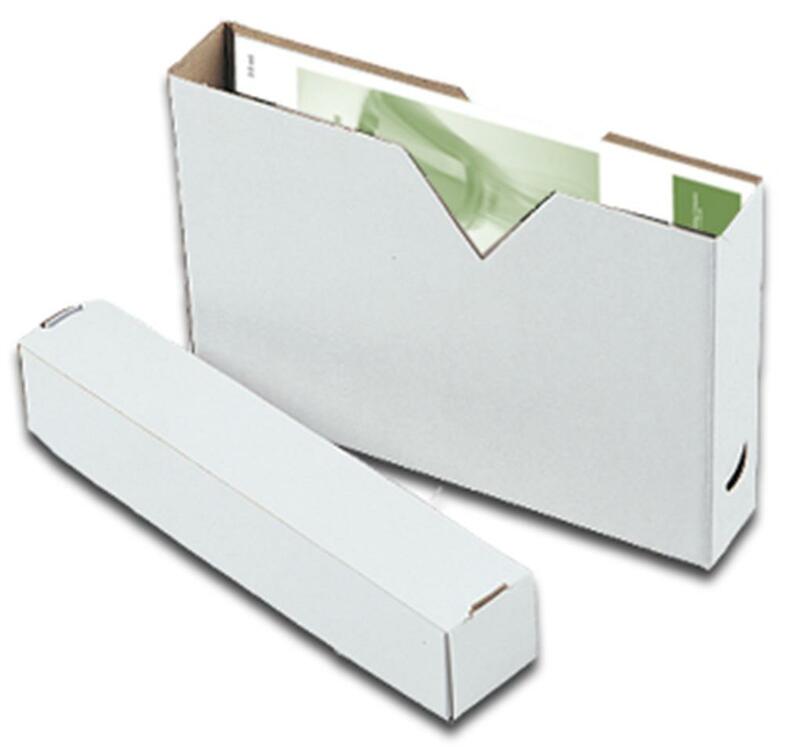 Made of tough corrugated board with a smooth white finish, our boxes can be written upon with any color pen or marker. This item is the box cover only. Boxes are sold separately from box covers, so you can order only what you need. Our boxes store flat - set them up only as needed - and they assemble in seconds without the use of tape or glue! Cutouts and convenient tabs permit the easy removal of contents. Dust covers are optional. Available in various thicknesses and will accommodate most choral-sized material (7" x 11") or instrumental products (9" x 12"). Now is the best time to organize!